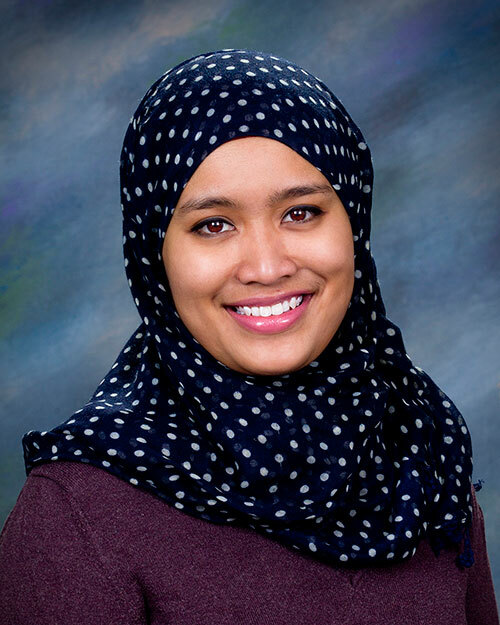 Congratulations to Purdue Veterinary Medicine Graduate Student Nurul Sulimai who has been chosen as one of the top 10 finalists in Purdue University's 2017 Three Minute Thesis (3MT) competition Tuesday, April 4, at 7:00 p.m. in Stewart Center's Fowler Hall. Nurul, a PhD candidate working with Dr. Jeff Ko, professor of anesthesiology in the Department of Veterinary Clinical Sciences, will focus her presentation on, "Evaluation of Poloxamer as a Slow Release Carrier for Morphine." Originally developed by the University of Queensland, this will be the fifth year Purdue University has hosted a competition. Open to all graduate students across campus, the competition seeks to "develop academic, presentation, and research communication skills and supports the development of students' capacities to effectively explain their research in language appropriate to an intelligent but non-specialist audience." The finalists must present three or more years of research in three minutes with the use of a single slide. The event is free and open to the public. A panel of judges will select the first and second place winners with an additional People's Choice Award selected by the audience. Show your support for Nurul and learn about exciting research taking place at Purdue at the 3MT competition!